History, art of living, nature and crafts: the region’s fantastic features invite you on a discovery tour according to your mood and seasons. Characterful nature, rich history, spa and gastronomy pleasures: all these features combine in Yverdon-les-Bains to form a unique destination. Located between Lake Neuchâtel and the Jura mountains, the second-largest town of the canton of Vaud, enjoys an exceptional setting that has inspired humans since the dawn of time. Visitors to the region of Yverdon-les-Bains, be they athletes, gourmets, fans of culture or in search of relaxation, are carried away by the experiences they draw from a tasting, guided tour, hike, spa treatment or a day of winter skiing on the nearby slopes. Benefit of the region’s best accommodation offers. The vineyard walks combine tradition and the latest technology. The nearby resort of Les Rasses provides a breath of pure air in winter on its ski slopes and snowshoeing and cross-country skiing tracks. 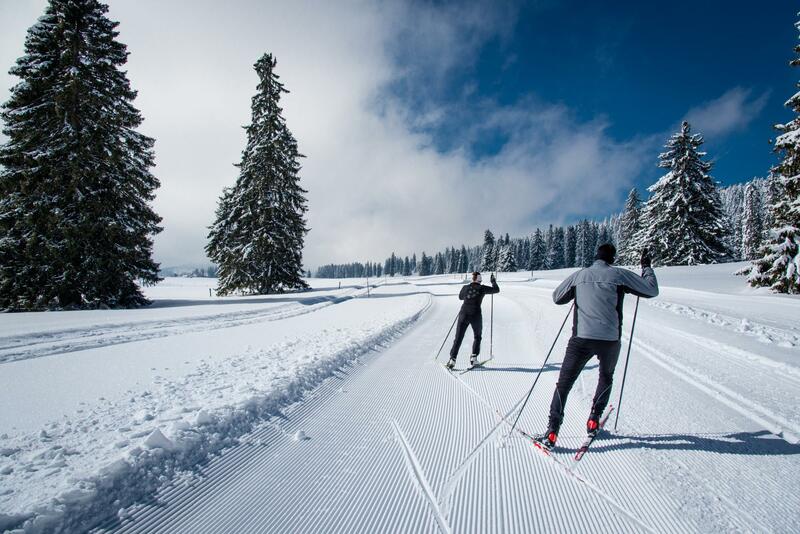 Enjoying a centuries-old tradition in the field of winter sports, the resort of Les Rasses keeps attracting regulars as well as visitors who are stunned to see a mountain atmosphere and a breathtaking view just a few minutes from Yverdon-les-Bains and Sainte-Croix. Located at an altitude of 1,150 and 1,606 m, the ski area includes nine ideal facilities for families, while cross-country skiers and showshoeing fans can explore more than 100 km of tracks. One-of-a-kind museums and historic monuments fascinate culture buffs as well as neophytes. The region of Yverdon-les-Bains is a land of culture and tells a thousand and one tales. Starting with its own, in the beautiful abbey of Romainmôtier, the castle of Grandson on the shores of Lake Neuchâtel, its Roman mosaics in Orbe and in one of Switzerland's most ancient museums in the castle of Yverdon-les-Bains. On the more unusual side and unique in Europe is the Maison d’Ailleurs (House of Elsewhere), which tells the story of science-fiction and extraordinary journeys, while the crafts typical of this region are exhibited in Sainte-Croix and Vallorbe. A programme that attracts more than one gourmet to this region of spas, wines and terroir. In Roman times, Yverdon-les-Bains was already popular for its hot-water spa. Wine and good food must have put a finishing touch to those relaxing days even then. Today, the terroir products combined with the excellent wines of the AOC vineyards of Bonvillars and Côtes de l’Orbe offer a welcome meal after a rejuvenating day spent at the spa centre of Yverdon-les-Bains. Since the creation of its famous October market in Bonvillars, the region has also been known for its exquisite and tasty truffles. 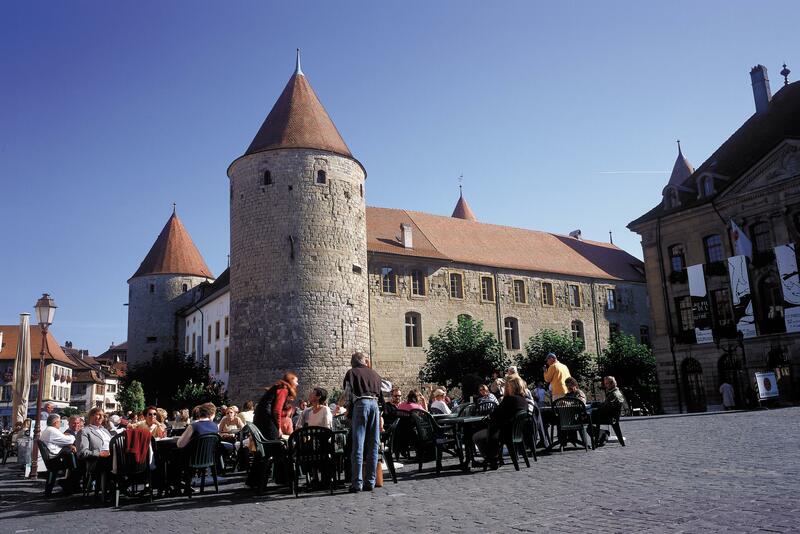 The Jura mountains and Lake Neuchâtel seem to have joined together to offer their most beautiful treasures to the region of Yverdon-les-Bains. Fragile fauna and flora in the marshes, impressive labyrinths and water courses in a unique network of caves, animals in semi-freedom in close proximity to visitors, beaches that appear almost Mediterranean... The region is blessed by the gods and lets nature lovers enjoy all its treasures. During a hike, a sightseeing visit or a swim, guests enjoy a moment out of time in a magnificent scenery. Hikers are even more attentive to the sometimes almost invisible treasures that nature has to offer. The region is fond of its many celebrations, while Yverdon-les-Bains organises highly popular lavish shows. To bring its traditions alive, the region perpetuates secular celebrations that delight visitors of all ages and from all backgrounds. Gastronomy is often the focus of celebrations, be they at markets or on gourmet walks. Among all these historical celebrations, the city of Yverdon-les-Bains stands out as the canton of Vaud’s creative and innovative town. The technologies presented at Numerik Games and the multidisciplinary artistic performances at the Castum also encounter a growing success. 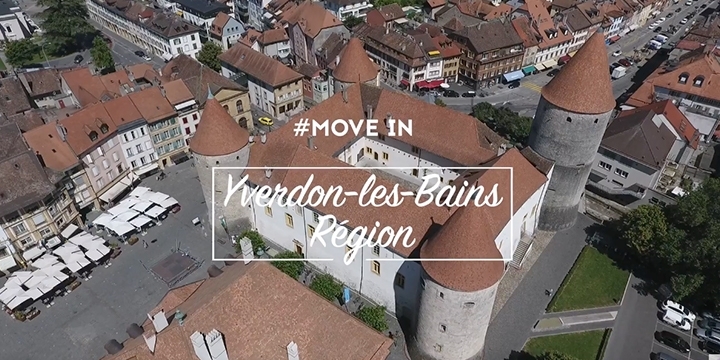 Yverdon-les-Bains welcomes business tourism in search of variety and inspiration thanks to its well-developed infrastructure. At the crossroads of the cities of Lausanne and Berne and only one hour from Geneva airport, the region of Yverdon-les-Bains is a haven of energy in the heart of a dynamic region. In the city, at the edge of the lake or out in the wild, original sites and buildings play host to heritage seminars, receptions or team building activities. As the second-largest city of the canton of Vaud, Yverdon-les-Bains combines culture, infrastructure and relaxation in its spa that dates back to Roman times. Even if you have only little time, don't miss any of the region of Yverdon-les-Bains thanks to our suggestions. In Orbe, Romainmôtier and Yverdon-les-Bains, guided theme visits give you an inspiring overview of these cities that all have their stories to tell. The routes of the Terra Salina network lead you along the old salt roads dating back to the Middle Ages. 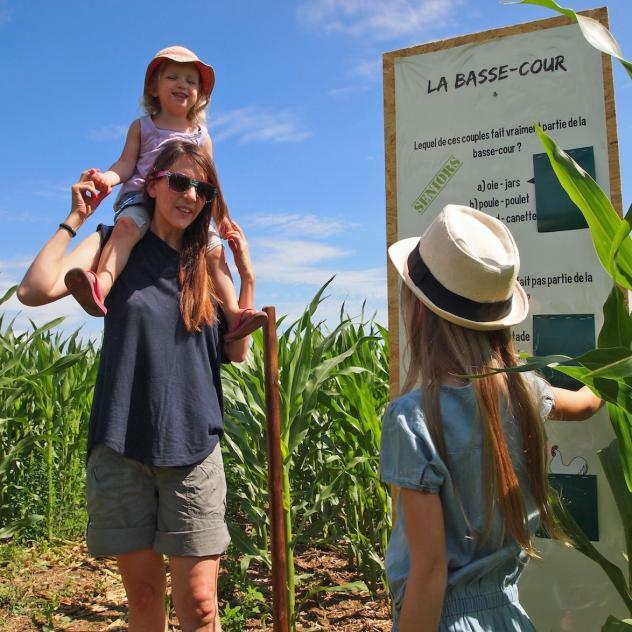 For families, there are plenty of fun and educational activities, while our good tips for something to do on the shores of Lake Neuchâtel take you off to a seaside atmosphere.